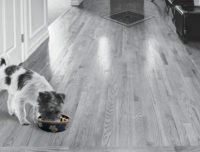 Animal Instincts bowl promotes slow eating which will help reduce the risk of choking, obesity, regurgitation and bloating. 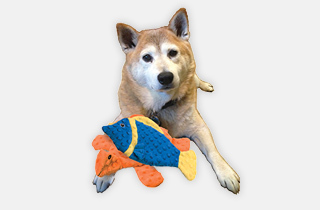 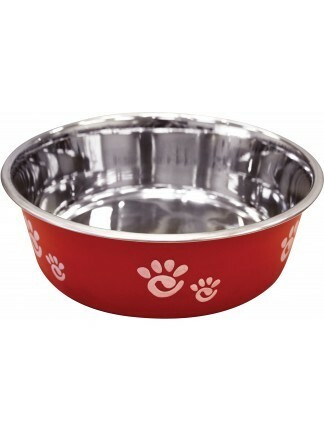 Recommended for dogs that are 50-70 lbs. 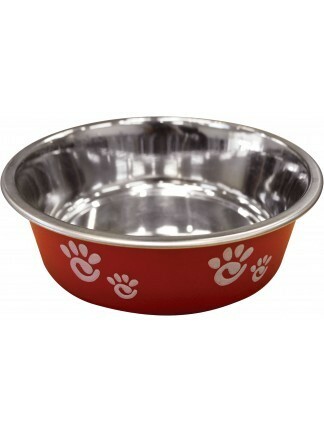 The bowl has a non-skid rubber ring which keeps the bowl in place. 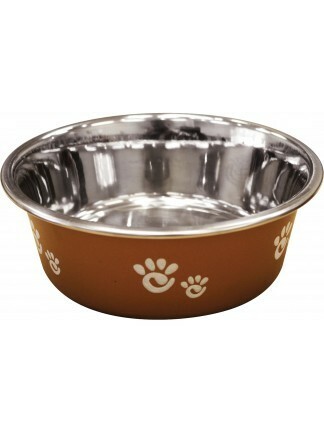 16 oz size bowl that combines stainless steel and a decorative paw print matte finish exterior. 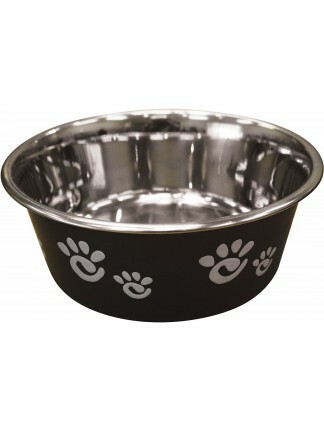 Removable rubber ring for no slip and easy cleaning in the dishwasher. 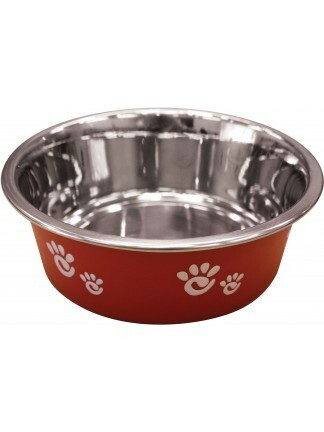 32 oz size bowl that combines stainless steel and a decorative paw print matte finish exterior. 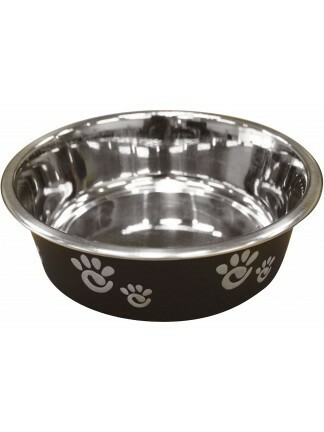 Removable rubber ring for no slip and easy cleaning in the dishwasher. 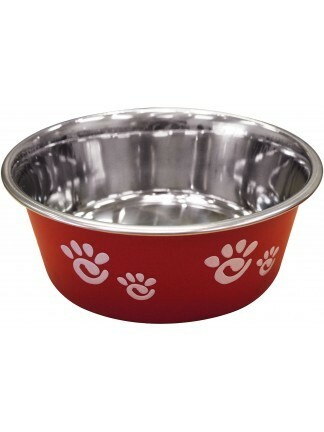 64 oz size bowl that combines stainless steel and a decorative paw print matte finish exterior. 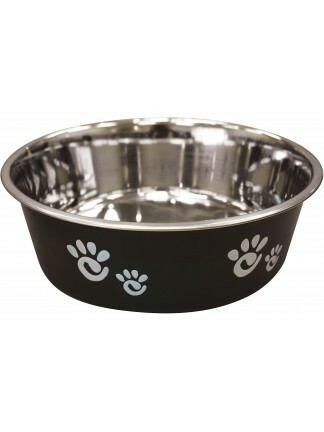 Removable rubber ring for no slip and easy cleaning in the dishwasher. 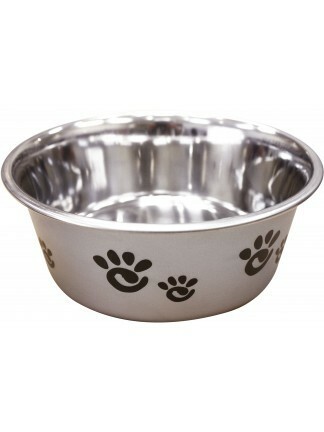 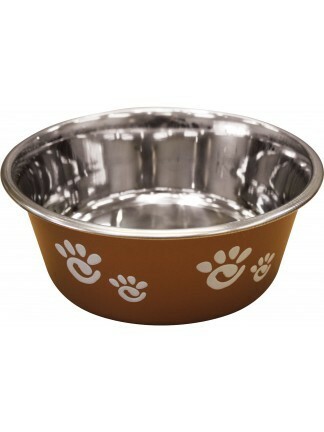 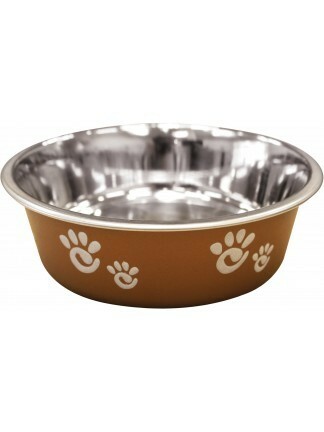 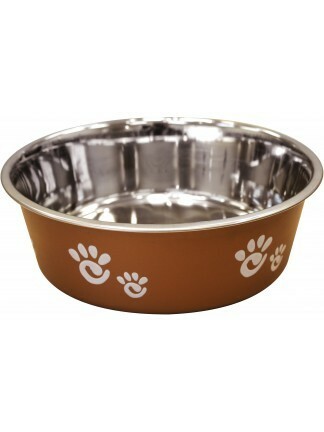 8 oz size bowl that combines stainless steel and a decorative paw print matte finish exterior. 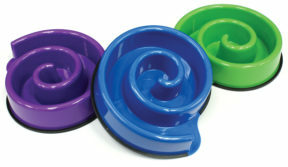 Removable rubber ring for no slip and easy cleaning in the dishwasher.